We’ve both been into detoxing for a really long time, though we’ve come a loooong way in how we think about it! 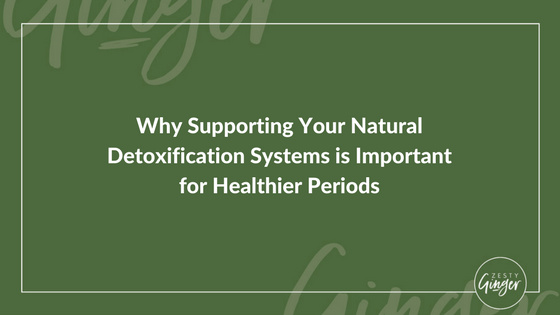 If anything, we’ve become even more fans of supporting the body’s natural detoxification systems because of the results we’ve seen from detoxing in THE RIGHT WAY, AT THE RIGHT TIME. By results, we’re talking consistently good digestion, faster growing hair and nails, clear skin, high energy and mood levels, and the normalization of our previously train-wrecked hormonal levels. Here’s the thing: the body naturally detoxes through many different pathways and avenues so we don’t tend to love–or really, just don’t like–those detox programs that are all about starvation and staying in the bathroom for days at a time. Not only do they sound terribly unpleasant but they don’t make sense to us from a biophysiological standpoint. Unfortunately, when most people here the word “detox”, that’s exactly the kind of program that they think of. So you’ll likely notice that in most of our articles, we tend to skip using the word “detox” and say “supporting detoxification pathways” instead. We want to be absolutely clear between the whole-food, holistic approach that we use versus what the word generally means on the internet. But before we get to what a whole-food, holistic approach to detoxifying actually entails, let’s first establish why detoxing is so important in the first place. If the body detoxifies on its own, why do we have to do anything about it? That’s a really good question. Though we think the answer won’t surprise you. We are all currently exposed to an unprecedented level of chemicals in our environment. We’re talkin’ contaminants in the water, pollutants in the air, the ingredients of our food and body products, and the chemical load of the contents of our homes (mattresses, couches, etc)…and that’s just naming a few sources! That’s why the argument we used to make (“I eat healthy and make my own skin care products so I don’t need to detox!”) never really did hold as much weight as we thought it did. Of course, there are things that we can do to minimize those exposures…and those are all things that we include in my mental framework of “detoxing”. Additionally, our lifestyle choices can change how efficiently our body’s are able to process the toxin load in our environment. Stress, nutritional deficiencies, poor sleep, a sedentary lifestyle, and chronic health problems all influence the genetic expression of our cells, leading to certain detoxification pathways and reactions that work far to slowly to truly be efficacious. While this all sounds concerning, the reality of the situation is that we are capable of controlling a significant portion of how well our bodies detoxify. To truly simplify the approach, the idea is to remove as many of the negative factors while supporting and amplifying the processes already in place. Makes sense, right? In order to help the body’s natural detoxification processes work better, it makes sense to us to support those pathways with nourishing food (that’s why we think nutrient density and diversity are so very crucial), the removal of offending substances, supplements that encourage existing functions, and by focusing on alleviating stress. That’s why this ends up being a holistic and whole food approach…instead of a quick fix, band-aid method that sets you up to ultimately fail. This approach to detoxing not only gets to the root causes of detox-inhibiting lifestyle factors but an approach to detoxing like this can re-set habits that may have gotten lost in our busy and stressed out lives. Spending part of a month of focused effort (we focus on in during the second half of our cycles) on these ideas can cause ripple effects into choices you’ll make several months from now (or maybe much longer! )…and that’s a pretty sweet idea, we think. 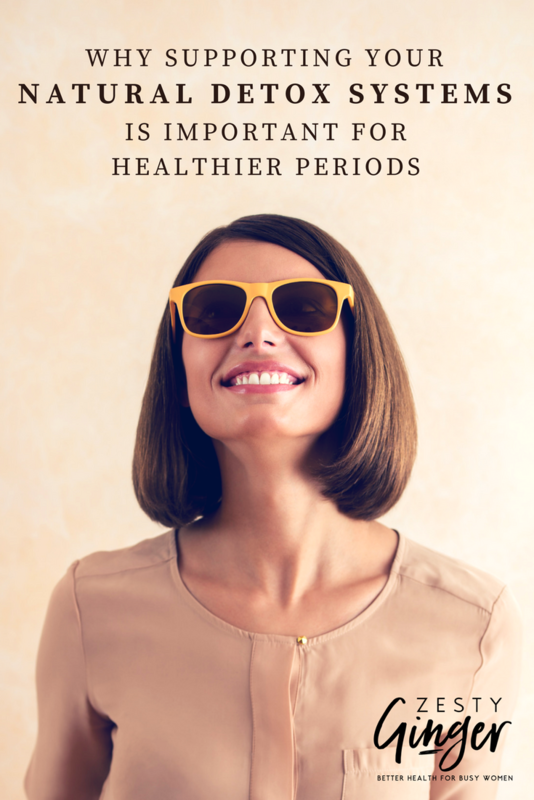 For us personally, the effects of this approach have been truly life-changing in that we don’t find ourselves constantly stressing out over our digestion, PMS, mood swing, weight gain, and wonky hormone levels. Think this post is Pinteresting? Share it with your friends and family!